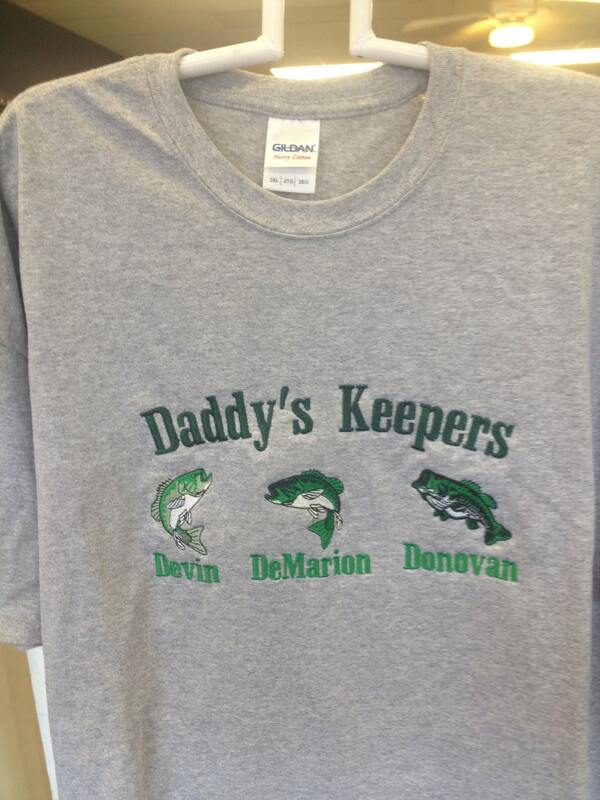 Perfect Tee Shirt for the father who is a fisherman. 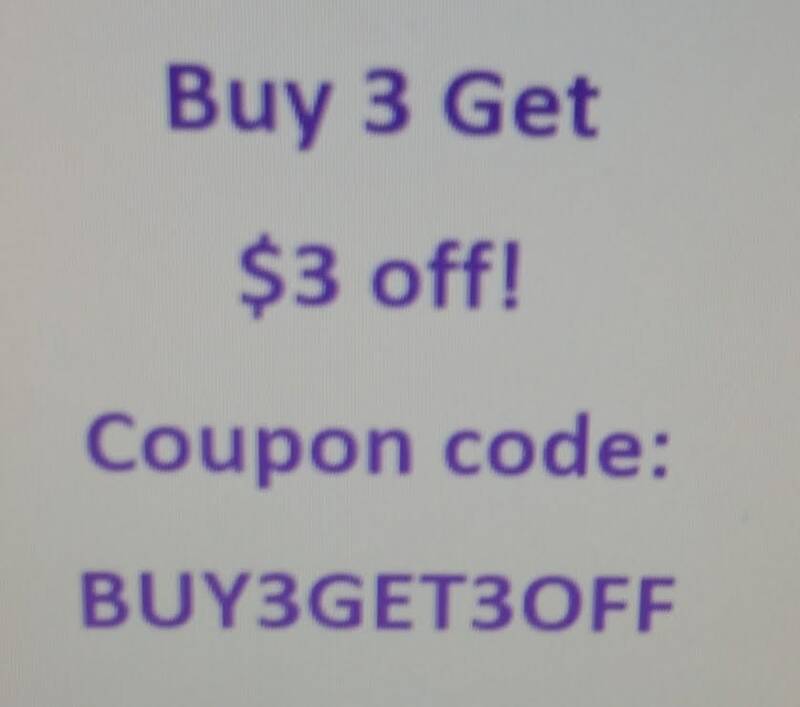 The t-shirt is 90% cotton, 10% polyester. 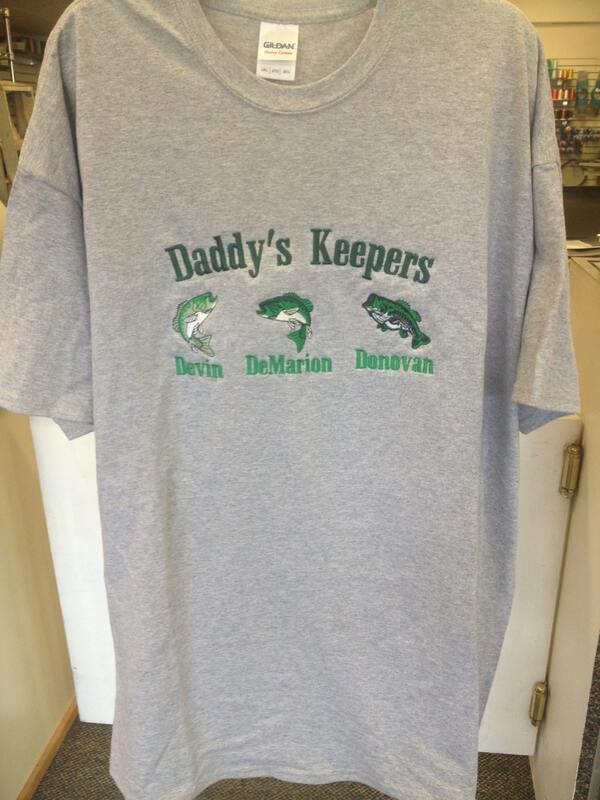 Daddy's Keepers is embroidered in Hunter Green, each bass has child's name underneath in Kelly Green. Just provide list of names to go with the shirt in the buyers note, up to 5 names. If you want a different color scheme, please let me know in the buyer notes. This item will mail first class unless you upgrade to priority mail for an extra shipping cost. Will ship within 2-3 weeks after you order it. If you need it sooner, send me a convo and I'll let you know if it's possible to have it for you in that time frame. Loved how it turned out. Seller responded quickly and made the shirt the way I wanted. Will definitely be purchasing more.